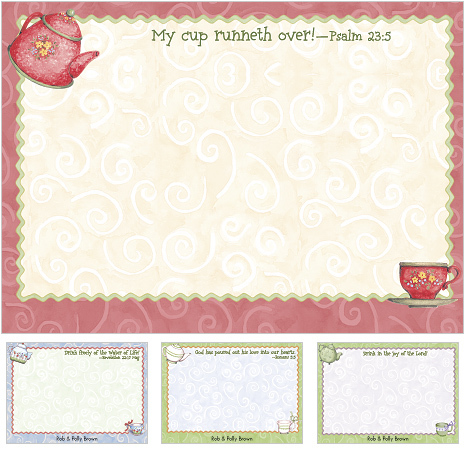 It's always time for tea with these Scripture note cards by Karla Dornacher. Each whimsical card in this new series includes a Bible verse and coordinating tea set with pot, cup and saucer. Order Tea Time cards today and drink in the joy of the Lord! These 6 1/4" X 4 1/2" flat cards include free personalization and envelopes.